In 2016, we saw the Taiwanese artist JUBI’s work『The Gigantic Crab Kaiju』produced by UNBOX at Taiwan Toy Festival for the first time. I thought it was a very unique and attractive design, which got me extremely interested. Then I talked to JUBI directly and asked if we could start a project to make something special. He was very kind to take up our offer. That was when the project began. We decided on a Scorpion motif. JUBI completed his first drawing in Feb 2017.It represented his unique design, which had realistic details and yet, was very cute. 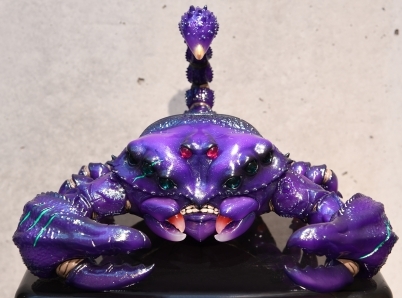 We immediately recognised his dedication to this project when we received his design idea. The drawing included many pictures of real scorpions for reference and there were some specific instructions regarding the body structure. Based on his original design, we started 3D modeling and completed the original model of Poisonous Scorpion kaiju after a short while. 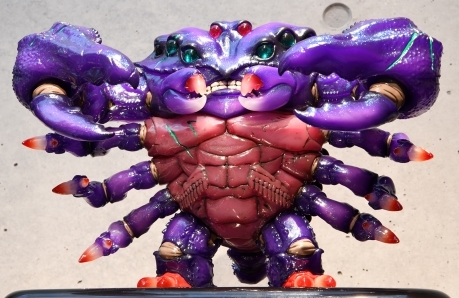 Usually, when toy makers take OEM commissions, they complete models based on the clients’ design, and after a few consultations, the production of the mold is done. However, it is completely different when INSTINCTOY produces our clients’ works. This is only the beginning for us, and from this point on, we will exert all our effort to brush up the work after the first model is completed. Therefore, we suggested 3 development points which are presented below. （１）To create a unique structure which can transform into a Kaiju-style pose from a Scorpion-style position. （２）To change the position of both arms and raise them up alongside the head. （３）To give his body more volume to be well balanced. These 3 points are quite big changes that would change the original design. JUBI agreed to our suggestions and had us redo the modeling. After repeated trial-and-error tests, we finally completed the final design. This is the 3D image. 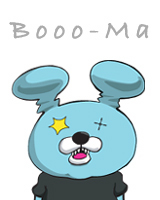 The facial details are very important for the character, so we didn’t touch or change any part of his face. We also specifically brushed up the details to be more realistic as JUBI was particular about it from the beginning. We also added some scratches that we imagined was from battle damage. We wanted to express his power and dynamism. 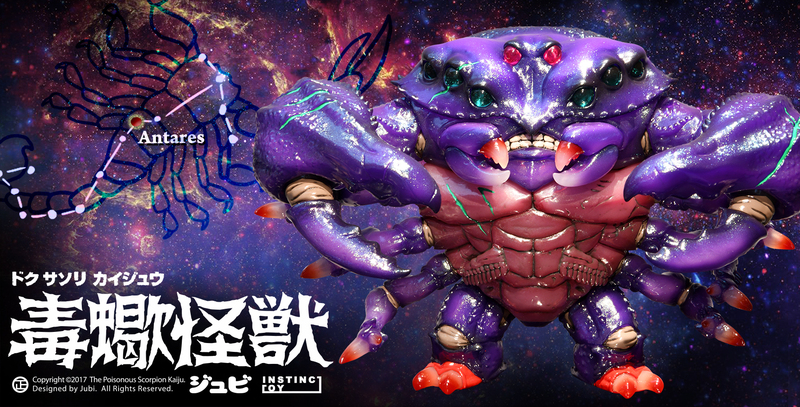 The most difficult goal that I wanted to achieve in this project was （１）the body structure, which can transform into a Kaiju-style pose from a Scorpion-style position. Using his strong and thick shoulder joint as an axis, we made the the head partly moveable, up to 45 degrees. The scorpion pose is completed by shifting the head downwards and forwards. We succeeded in making the transforming structure work without losing the natural posture in both poses. 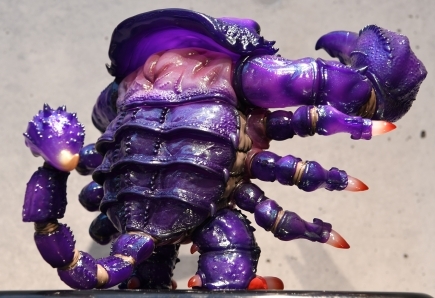 This is the video that shows how the figure transforms, in the PROTOTYPE color. Please click on the link to check it out. 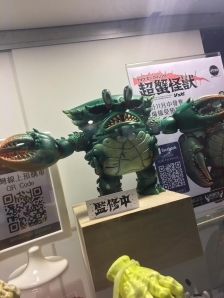 We also made separate accessory pieces, so that it is possible to have a realistic presentation, or to show it as an attractive crustacean Kaiju! 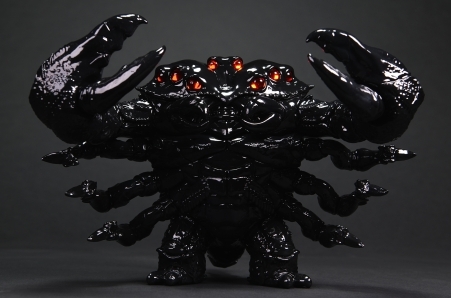 We have spent a lot of time to complete this “Transforming Kaiju Sofubi”. 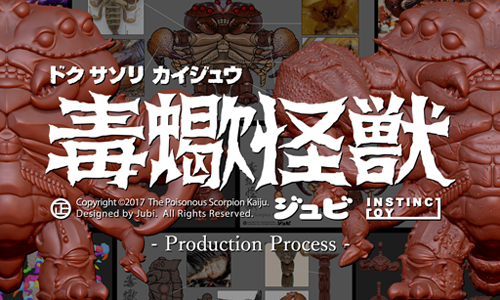 We were very glad that JUBI liked the developed version of the Scorpion Kaiju which we produced. The most important thing when we develop and produce artists’ work is to respect their design image and ideas, and also to apply all our experience and skills as a maker to create something new. We already started selling the Black Prototype edition and the 1st color “Red Claw Emperor” earlier this year. 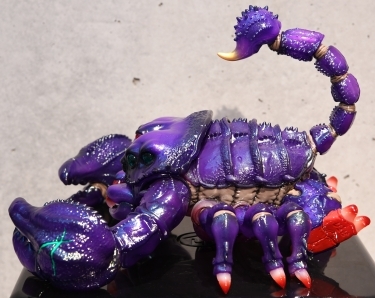 All the customers who purchased the figures liked them very much. They kindly gave us good comments about being able to see our dedication from this product. 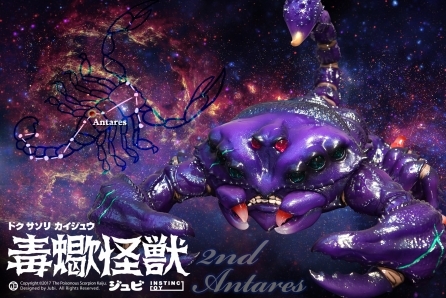 From this September, the new edition, the 2nd color “Antares”, will be sold at the shows we will attend. The 1st color was a very realistic colorway, so we designed the 2nd color using beautiful colored patterns. 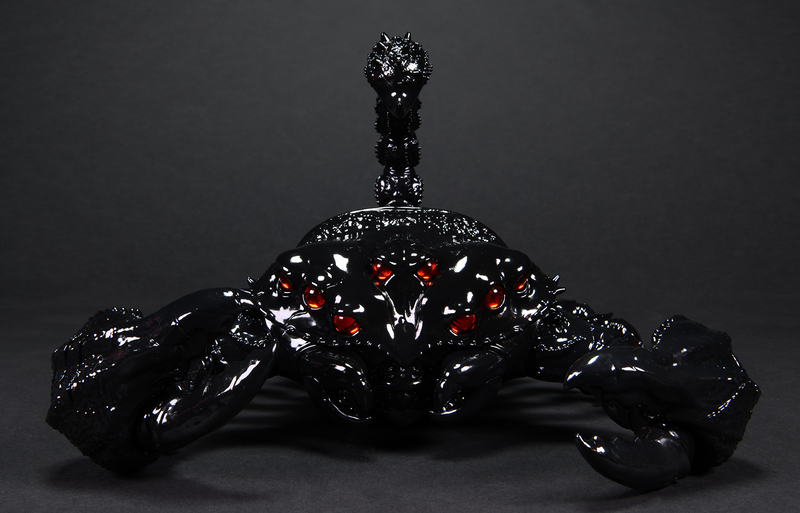 This is inspired by the spectacle of deep space. The name of this edition comes from the the brightest star in Scorpius, which is also called the heart of the Scorpion. The color design was based around the color purple and we did pearl-coating on the whole body. It turned out beautiful and unique color. 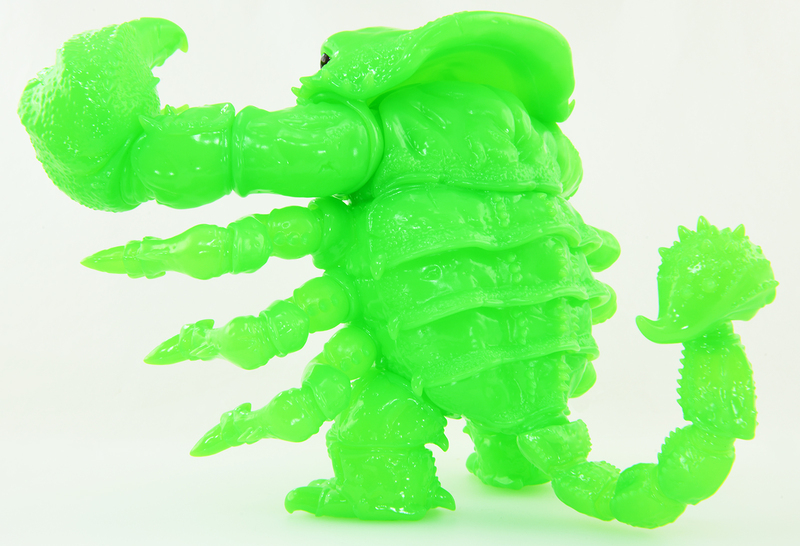 This edition will be sold at all the toy shows in Asia that we attend from September onwards, including BTS(Beijing Toy show) in Sep, TTF(Taiwan Toy Festival) in Oct, TCC(Tokyo Comic Con) in Dec and Toysoul in Hong Kong in Dec.
With the launch of the 2nd colorway,a new fluorescent green blank edition will also be sold alongside it. We are planning to make even more new and different colorways next year. 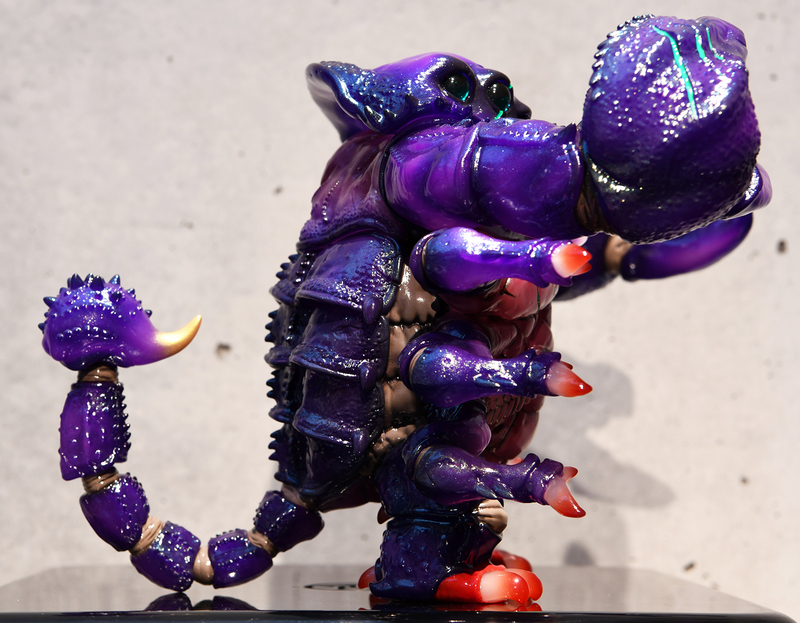 Please stay tuned to our JUBI x INSTINCTOY project “Scorpion Kaiju” for updates!